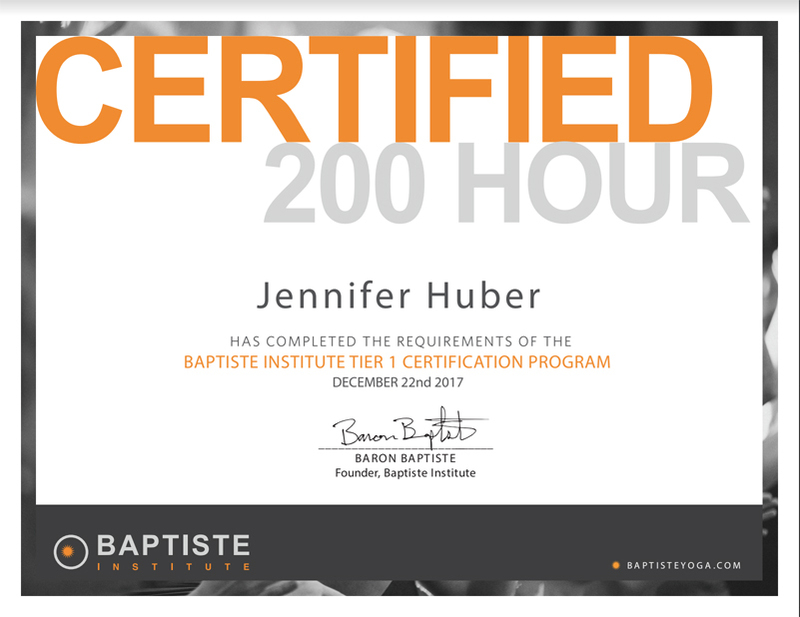 Over the past four months, I've been in the process of submitting videos of my teaching and receiving feedback from the Baptiste Institute representative assigned to me. Yesterday I received the CONGRATULATIONS email! It is official. I am one of ten certified Baptiste Yoga instructors in the state of Florida. I'm thrilled!